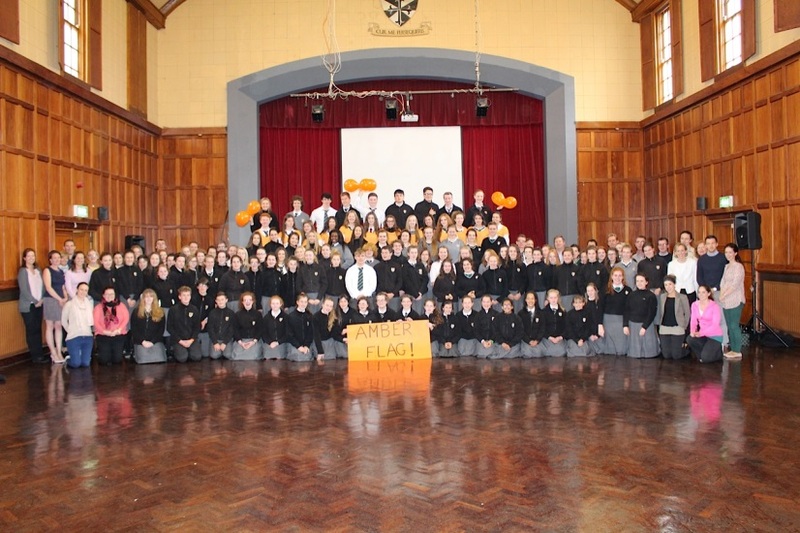 This week sees the launch of the Amber Flag Initiative in Newbridge College. Over 130 students and 30 teachers are involved in this Project. The Amber Flag promotes Positive Mental Health and Suicide Awareness. Through a series of project ideas and school activities, we hope to raise awareness of the importance of Positive Mental Health and reduce the stigmas associated with it. Our emphasis is on 'connecting and reconnecting people'. Public Speakers like Celine Byrne, Seamus Hennessy, Fionnbar Walsh (father of Donal Walsh) and more. Hold a Mental Health Awareness Week. We intend to link Positive Mental Health in with the curriculum in a variety of subjects. We will link in with the community in a variety of ways also. Our new Amber Flag webpage will give more details on the workings of the group. We wish the Newbridge College 'Amber Flag Project Team' the very best in their endeavours this coming year.